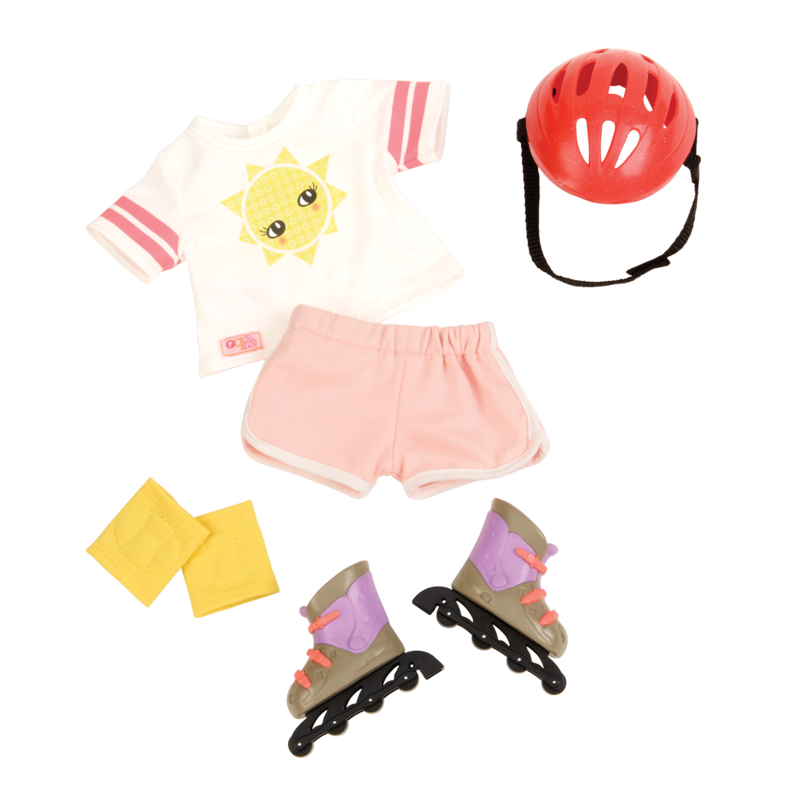 The sun is shining and it’s the perfect day to roll towards adventure with the Roll With It rollerblade outfit from Our Generation! This athletic outfit for 18-inch dolls is just what your dolls need for a summer great day. Because our generation of kids is here to stay. (Yet, we’re constantly on the go!) We’re teaching our families to recycle, planting gardens, and helping out at the local animal shelter. And when we’re not saving the world, we’re busy running down grassy hills as fast as gravity will take us, arms outstretched to the world. Sure, we might tumble, but bouncing back up can be fun, too. This is our time. This is our story. The sidewalk is your kingdom and you’re on a roll! 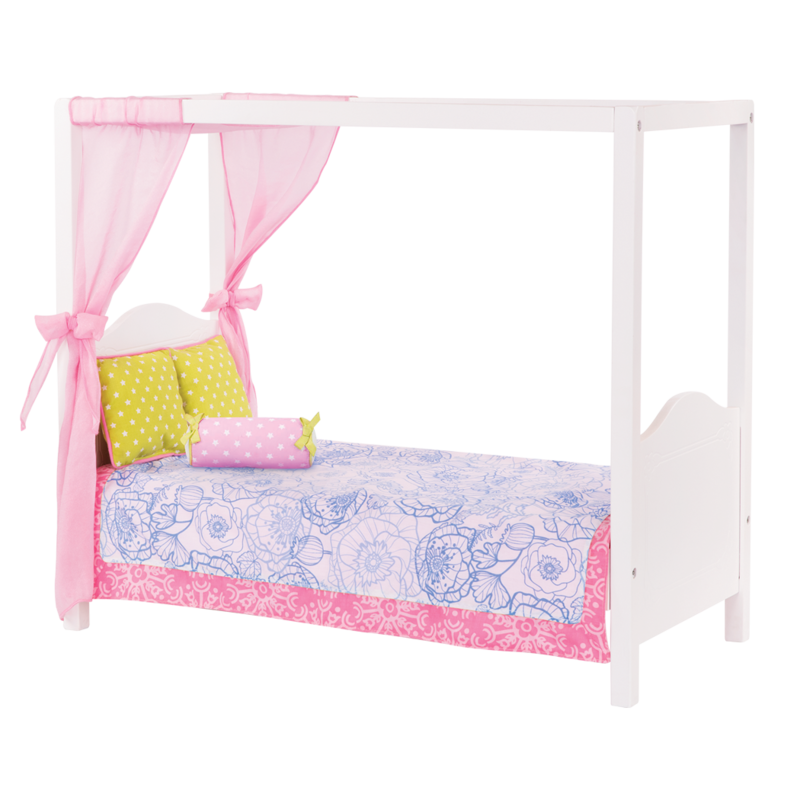 Dress them in the adorable t-shirt with a happy sun print and the comfy pink shorts. Safety first! 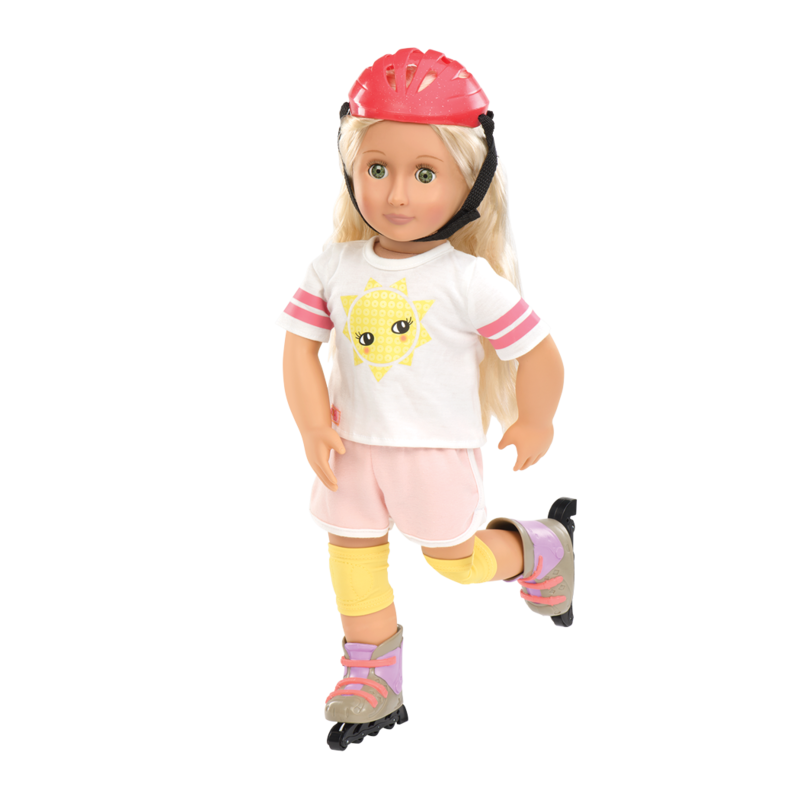 Outfit your doll with the helmet and kneepads to protect her while she rollerblades. 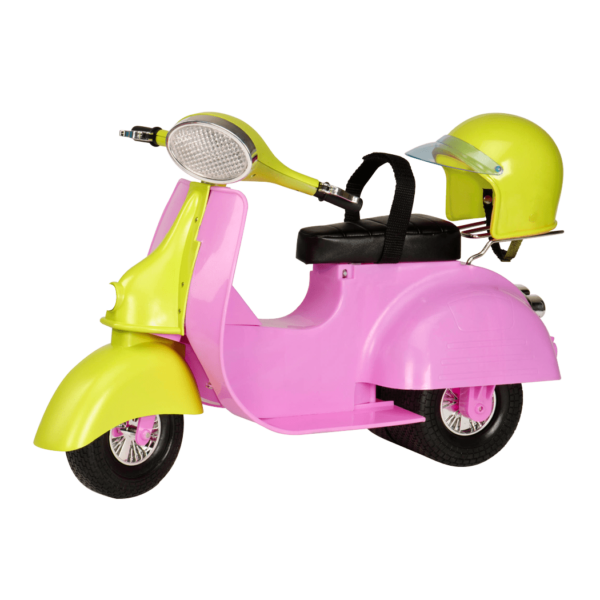 Your dolls will have hours of fun rolling around the neighborhood with you! The doll in the pictures is Ginger. Have you met Ginger, the doll modelling the Roll With It outfit? 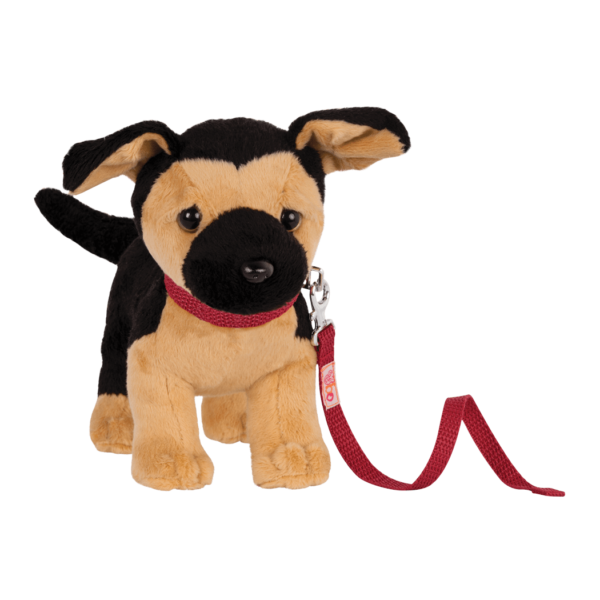 Ginger loves to play outside in the summer, and rollerblading is one of her favorite hobbies! 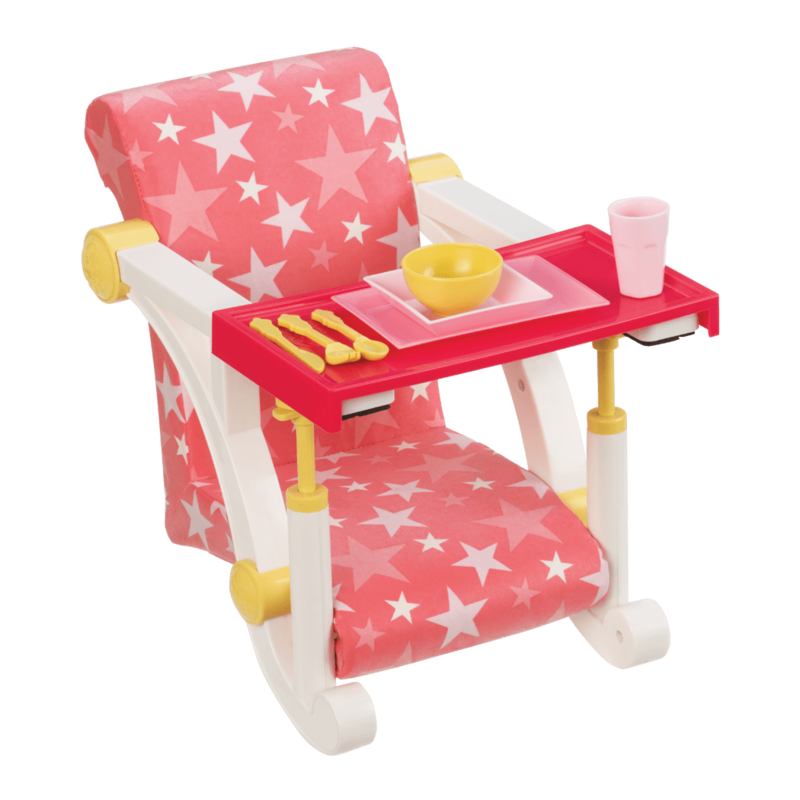 For more fun in the sun, check out the Heart of Summer outfit, a pretty set of summer clothes for 18-inch dolls that features a cute sundress, sun hat, sunglasses, and more! The rollerblades in the Roll With It outfit are great for cruising down the sidewalks. For longer distances, give your dolls a ride in the OG Off Roader, a 4×4 vehicle for dolls with a BluetoothTM speaker and lots of features that can play your favorite tunes as you drive!